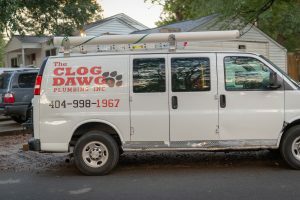 The Clog Dawg has been taking care of North Atlanta and Cobb County’s water heater issues for years. 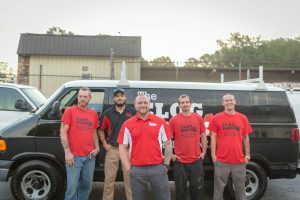 When it comes to water heaters, the team at The Clog Dawg are the experts in both gas and electric hot water heater systems, as well as state-of-the-art tankless water heaters. Combined with the latest technology and the most recent training and certifications, our highly trained water heater experts can help service, repair, replace, or install hot water heater systems of almost any brand, including AO Smith and Bradford White. When you need a water heater, call 404-998-1967 now. If you stepped into an ice-cold shower this morning, or you feel like the temperature of your water is getting reliable, you may need to repair or replace your water heater. Luckily, the technicians at The Clog Dawg are highly trained in advanced diagnostic techniques that can identify causes many other shops miss, and we can make sure that you get the most out of this underrated home appliance. If you suspect you have an issue with your water heater, give The Clog Dawg a call for same day service. Looking for information on tankless water heater solutions? 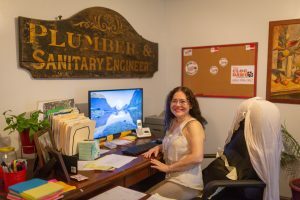 Click here to learn more about Atlanta’s tankless water heater specialists. 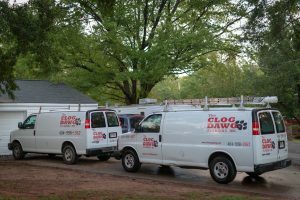 The Clog Dawg Plumbing offers standard efficiency, high efficiency water heaters and tankless water heaters. The High Efficiency water heaters are ENERGY STAR qualified, qualify for many utility rebate programs, and potentially tax credits. No matter what your choice is, the newer water heaters will be much more efficient than the one we would be replacing! We recommend Bradford White water heaters, but can install nearly any brand of your preference. Due to the lack of quality from big box stores (and the difficulty authorizing warranty repair work), we do not recommend purchasing a water heater directly from Lowe’s, Home Depot or similar. Instead, our experience has shown that you’ll have fewer issues and a lower cost of ownership by investing in quality components from the beginning. We’ll be happy to guide you through that process so you can make an informed decision. Have a water heater question in the Atlanta Metro or Cobb County?